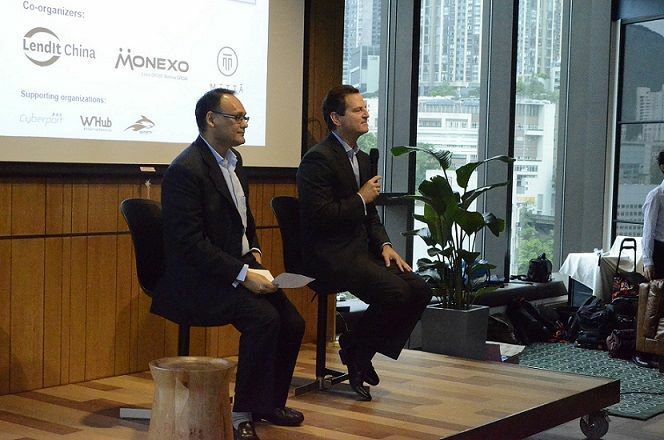 Monexo Innovations Limited co-organized a “Rise of Fintech” talk on the 14th of July with LendIt China and Metta. Monexo’s Ceo Mukesh Bubna had a talk with Ron Suber, President of Prosper Marketplace, on various topics ranging from his personal traits to the position of the fintech industry. For all SME owners and entrepreneurs, here are the 5 takeaways from the inspirational talk by Ron Suber! #1: EAU (Education, Awareness, and Understanding) With the growing fintech industry in the world today, a lot of people mistake the adversity to be P2P lenders or banks. When in reality, it is the lack of EAU (Education, Awareness, and Understanding). Potential customers are not educated, aware or even understand the importance of fintech and how it impacts the world. With the lack of EAU, people would lean towards traditional financial intermediaries, which they are more clear about. The lack of EAU is not only a problem in the fintech industry, but a common challenge in other emerging industries, like wearable IT, telemedicine and 3D printing. Future business owners should shift their focus by working on raising EAU in the general public. #3: Work with the end in mind Ron Suber is a huge fan of the book ‘The Power of Intention’ by Wayne Dyer and recommends it to everyone, especially business owners. Before you wake up, it is crucial to understand what you want to do, whether it is as a professional, son, father or friend. Once you set that business mind, then you should get out off bed and start the day. Always work with the end goal in mind and backtrack from there. Getting the right mindset helps align your goals with a positive direction, which in turn helps achieve your objectives one at a time! #4: Focus, Focus and Focus! Being a father and industry leader of the Peer-to-peer industry can be a great challenge, but Ron Suber faces this challenge by simply moving people in life that do not fit and do not really matter. Nowadays, most of us try to keep everyone in our lives, but this is impossible. The key to time management is to focus on what is important and who is important. Business owners should learn to differentiate between what is relevant and what is important to the business and themselves. Leaving out distractions can lead to a narrower focus which makes a huge difference! #5: Never Give Up and Always Aim Higher! When it comes to starting a business from the group up, Ron Suber knows best. In his talk, he inspired all in attendance by mentioning how he was so poor at the age of 18 that he had holes in the bottom of his shoes with tape inside and out. To rebound from that is truly admirable, and all business owners out there should have a similar mindset. Hardships are there to shape us as human beings, and to further develop our perceptions. Managing businesses, especially startups, will definitely reach obstacles, but once you jump over the hurdles it will get a lot swifter. However, this is only one side of things. You also have to aim higher at all times. Prosper Marketplace has been growing at a fast pace in recent years, and Ron Suber has not planned on slowing down. He said he stays awake at night thinking about the credibility of the fintech industry and how he can bring more smart people into the industry from the banking world and Wall Street. He wants to know how to create continuity. He could easily retire but he knows that work never stops, so why should he?